Hi. Hope you all are having a good time. 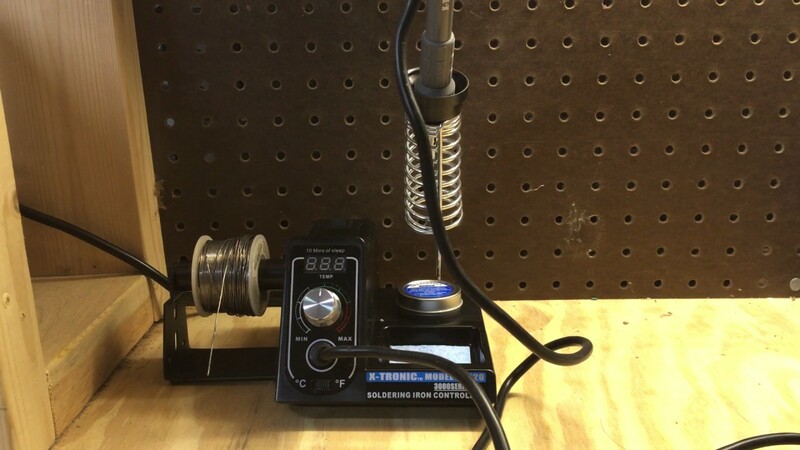 In this post, I am going to talk about the best soldering station for hobbyists and beginners. Trust me there are a lot of options out there and a beginner might get confused what to buy what not to. One might not aware of parameters he or she should look for before considering a soldering station. Here in this post, I try to help you get your best soldering station if you are a hobbyist or beginner. I think it would be useful to break this post in categories for different type of people. One category of people might need a soldering station for certain cases and are the occasional users, they don’t need expensive one and I won’t let them spend too much. The other category I think of the people, playing with electronics is what they enjoy. For such people, I want to have the complete soldering station from cheap to expensive which I personally love. And it is up to their pocket which one they select. You know, there are a lot of low price stations out there in market. The problem is they are really not good, and there is no reason buying it. It will give you bad results and a bad end circuit soldering. So, I am sorry, the stations I am recommending below are not those, it may cost a little high but these are what I believe in. The soldering station I recommend for occasional user is the X-Tronic 3020-XTS and for hobbyists are either the Weller WESD51 or the X-Tronic XTR-4040-XTS. They are the best because they come from the trusted brands of proven track record, high quality, ESD safe, having more than one year warranty, having reasonable prices, reliable and are good looking ones. In rest of the article, I talk about these recommended models and share my knowledge about parameters look for in selecting a station or solo soldering iron. Well, according to me, putting myself in your shoes, for occasional usage I would need a decent iron solder, a solder wick, cleaning sponge and maybe a tip tinner. O my God, now I am feeling some of you may not know the things I mentioned except the iron solder. Go with me I explain it very soon. Ok, the other thing I feel is the price range, an occasional person should not spend too much. I keep all thing thing in mind a found out an amazing deal for you. For you people, I recommend the X-Tronic 3020 XTS (Amazon link). It has price tag of below $60, which is fair enough. If you make it very cheap you will end in bad quality which I don’t think would be a good decision. The X-Tronic is the brand people really trust because of its care for its customers. It might be the station for your life-time if you take a good care of it. Let’s talk about the features I like about it. You are smart you can see all the others features on its Amazon page. Speaking of its good qualities. It is auto power off, meaning it turns off after sometime automatically if you are not working with it. I think this is the most useful feature. It saves a lot of power and makes the life of soldering tip much longer. It is 70 Watt, making it really quick to heat. The thing I like the most about it, the company gives you 30 day unconditional money back warranty – 3 year fix/repair warranty with parts/labor included. it is not a complete soldering kit. You have to buy other required things individually i.e. solder sucker. It is just my personal feelings, I don’t like the attached stand with station. This is not a big deal but it makes you to be careful when you are placing hot solder in the stand. Now, coming to the people who are engineering students, or serious with electronics. I have this mentioned very beautiful and unique station for you guys. This is my personal favorite. Weller is a very old company of a well proven track record. It was founded in 1945 and from then it is continually making quality products. On their Amazon page it is written that Steve Wozniak, co-founder of Apple, had used it when he was soldering first Apple computers. How cool is that. Right? The first best soldering station for hobbyists in 2019, I recommend, is the Weller WESD51 (Amazon link). There is doubt on brand trust, quality and priority customer care. Let’s talk about the features I like about it. Again you are smart you can see all the others features on its Amazon page. First thing is the brand trust, I got it. Next question is how can it help me solving my problems? Yes, it can’t do the soldering itself but can help me doing excellent soldering. It has options for many tips compatibility, which I can change according to my board requirements. It is ESD safe to protect sensitive components, and it is 50W. It has solid stand, which is not attached to the station. I don’t like the stand attached with the station. Reason is sometime I am looking at my board and trying to place the iron in its stand and what happens? It touches the station body, making it ugly. I really don’t know why these station are not coming with solder suckers. Only tips from Weller is compatible. And some might be thing to use it for SMD components, forget about that. I am great fan of the above Weller station. But the problem with Weller station is, it is not the best for soldering the SMD/SMT. If you are the guy not doing any such work then Weller station is best option else go for this one. The second best soldering station, I recommend, is the X-Tronic XTR-4040-XTS (Amazon link). I personally really like it for its brand, quality and decent price range best for beginners as well as professionals. This is important to know what parameters make a station good. Following are the things I consider the must have in any soldering station. I personally look for all these parameter in the above recommended best soldering stations for beginners and hobbyists. It is the power of soldering station or iron. The higher this value the quicker your device will get heated. A good rule of thumb is, for a best soldering station the wattage must be higher than 30 Watt. Less than this value and you will end in soldering iron taking years to get heated and even worst, get cool down during working. Who wants that? No one! So, never take this parameter for granted, select the soldering iron with wattage rating more than the mentioned threshold value. It is a very cool feature. When I started with electronics, I bought a solder without temperature control. You know what, I burnt out things without having any idea what I was doing wrong. I learned after some time that the heat of my best soldering iron was responsible for burning most of my devices. So, in short, every best soldering kit must have this function. And the rule of thumb is, it should range from 340 – 850 F.
Like I said, temperature control is the main thing using which you adjust temperature of your best hobbyist soldering stations. You can adjust it by using manual nobe or digitally. I go for digital, as it is more precise, accurate and also give the station a very beautiful look. This is a must have function in any best soldering station designed for hobbyists. A station must turn off after sometime when you are not playing or having fun with it. This function makes the station efficient, and increases the tip’s life. This is a huge one. A lot of people miss it, but trust me never comprise on quality of a stand. A bad stand can lead to many bad situations in your lab. In worse case you may end in burning your body parts. Always check for solid stand. I am sure you have selected your best soldering station. No doubt each one is best in its own place. If you ask me for my opinion, I would say, I don’t need SMD soldering. Why? Because I prefer such soldering to be done at PCB manufacturing house. 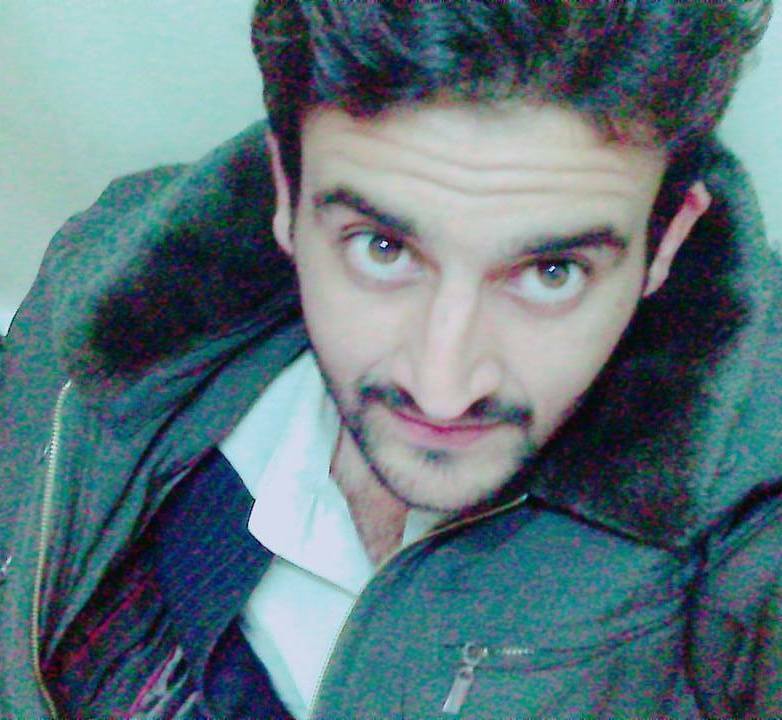 Sometime I enjoy it, but its not that easy to be done with perfection so I let it be done in PCB manufacturing house. But when it comes to repairing or doing something with already built boards I do need a hot air rework. So, if you are a complete into electronics person, like me, then you should go for the X-Tronic XTR-4040-XTS .I would go for it too. You know what, it is a complete package for such decent price. This package has got tweezers, extra tips and nozzles for all types of projects. As I already said, there exists no complete ideal best soldering kit. We have to combine things for different companies to make a kit best for our budget and requirements. So, up till now, we have our best soldering station. Now we need the following tools to make a complete soldering station for our lab. Solder suckers and soldering wick: For desoldering the damage devices on board or for giving the board a nice finishing look. Helping hands and wire cutter: For keeping the board in proper position so that we can easily and properly solder it. Let me tell you something, the real problem is, there exists no ideal complete soldering kit or package which has everything I personally want in a complete soldering station placed in someone’s electronics lab. Few stations have got a nice soldering iron, few has quality stands, few has auto power turn ON/OFF function, few are ESD safe, and the list goes on. So, I just make the list of the three soldering stations and soldering irons, one for the occasional user (skipping extra features), the rest for hobbyists and real electronics into people. At the end, I make a complete bundle of the things needed for a complete soldering kit to safely and cleanly make your circuit boards, which any one can have as extra tools. Well, this is all I have for you about the best soldering station for hobbyists and beginners. Play safe with these tool as they may harm you, never touch the soldering iron tip with fingers to check whether it is getting hot or not. I have done it that’s why I am telling you, my finger burnt so badly I can’t put it here in words. The other thing, never leave the solder station plugged into power cord when you are not working with it even if it has an auto turn off or going into sleep mode. I didn’t make any table showing parameters of every model I talked about, because I think you would clearly see them on their respective Amazon pages. There is no need to copy and paste them here. Hopefully, I have helped you somehow and you have enjoyed making up to this far end. Note: One last thing, all the given amazon links are affiliated one meaning if you buy these items from these links within 24hrs (from the time you click on it) I get a small commission, which would really help me and I would appreciate this kind act from the heart.